For Cummins Diesel 6CTAA Engine. Standard T3 Entry Exhaust Turbo Manifold Flange(Cummins 5.9L Use T3 Flange). Upgrade for 5.9L with T3 Flange. Standard HX Dodge Cummins 3" V-band Exhaust Downpipe Flange. Part Number: INTK014. This manifold fits : LS engines with LS3, L92 Rectangle/"Square Port" style heads. • L92, LS3, L76. This system includes 8 of the NX Nozzles, 2 NX Lightning series nitrous solenoids, 2 NX Lightning series fuel solenoids, anodized aluminum distribution blocks, 3/16 stainless hard lines, and stainless steel fittings, all plumbed on the manifold! Nitrous Solenoid. Holley Hi-Ram. NOS sandwich-style plate systems are designed to bolt between the upper and lower intake sections on Holley Hi-Ram LS manifolds. Our dry nitrous systems give you everything you need including 2 NOS Pro-Race nitrous solenoids, brackets, hoses, jetting, and hardware, along with your choice of nitrous bottle. Do you have a Holley Hi-Ram intake manifold on your project car that is in need of a wide-open-throttle switch?. Wide-open-throttle switches are essential when using a stand-alone nitrous system, or if needing to switch a device, such as air conditioner compressor or alternator field winding, based on wide-open-throttle. DODGE CHRYSLER NOS WET NITROUS OXIDE SYSTEM KIT NEW. This WET NOS Nitrous Oxide Kit Includes NOS Nitrous Solenoid (Up to 150HP). NOS Nitrous Solenoid To Fogger Braided Line. WET System for Most Dodge & Chrysler Fuel Injected Vehicles. Fits the following: Intake manifolds for LS engines with LS7, Rectangle/"Square Port" style heads. Engine Code: LS7. Each component of the nitrous system has been inspected upon installation and the entire setup has been leak checked and flow tested. This NOS plate designed to bolt between the upper and lower intake manifold on Holley Hi-Ram LS manifolds. This sandwich-style plate gives you an easy way to add nitrous oxide to your Hi-Ram equipped LS engine. Holley GM LS3 L92 Modular Hi Ram Intake Manifold Longitudinal Mount 92mm 300-116. Mounting Flange Gasket Type – Standard LS3 Molded O-Ring. Holley EFI LS main harnesses have a map sensor connector designed for use with an LS1/2 style map sensor. 2017 Ram 3500 6.7L 6 Cyl. Notes: Nitrogen Oxide (NOx) Sensor -- ID No. 68197 109AA or 68227 486AA. 2016 Ram 3500 6.7L 6 Cyl. 2015 Ram 3500 6.7L 6 Cyl. Ensure Proper FitTo confirm that this part fits your vehicle, enter your vehicle's Year, Make, Model, Trim and Engine in the Compatibility Table. NOS Part Number 05500NOS. NOS sandwich-style plate systems are designed to bolt between the upper and lower intake sections on Holley Hi-Ram LS manifolds. Our dry nitrous systems give you everything you need including 2 NOS Pro-Race nitrous solenoids, brackets, hoses, jetting, and hardware, along with your choice of nitrous bottle. 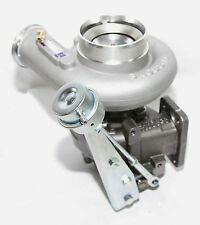 Nitrous Micro Switch - Bracket Included - LS Holley Hi-Ram Intake - Kit. NOS Part Number 05501BNOS. NOS sandwich-style plate systems are designed to bolt between the upper and lower intake sections on Holley Hi-Ram LS manifolds. Our dry nitrous systems give you everything you need including 2 NOS Pro-Race nitrous solenoids, brackets, hoses, jetting, and hardware, along with your choice of nitrous bottle. Part Number 05500NOS. NOS sandwich-style plate systems are designed to bolt between the upper and lower intake sections on Holley Hi-Ram LS manifolds. Our dry nitrous systems give you everything you need including 2 NOS Pro-Race nitrous solenoids, brackets, hoses, jetting, and hardware, along with your choice of nitrous bottle. Part Number 05500BNOS. NOS sandwich-style plate systems are designed to bolt between the upper and lower intake sections on Holley Hi-Ram LS manifolds. Our dry nitrous systems give you everything you need including 2 NOS Pro-Race nitrous solenoids, brackets, hoses, jetting, and hardware, along with your choice of nitrous bottle.